A t your time of need we offer local support and help with preparation and we endeavour at all times to give you a service that honours your memories and helps give you the words that you wish to express. 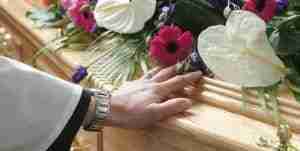 Our funeral services can include, poems, live music, CDs and multiple Eulogies. Our ministers are ready to listen to what you want for this lasting memorial and endeavour to ensure that the service is personal and relevant. Anyone who lives in the parish or who has been resident for many years or who has a loved one buried in our churchyards has the right to a church funeral and burial. You don't have to have a faith or be Christian... these are Parish Churches and the ground is yours. We also take services for people outside the parishes, however there is not an automatic right to a grave plot. Our churchyards are very well tended by volunteers, although there are rules about the size and shape of the memorial stone and memorabilia that you may like to discuss with us before you decide on a burial. Over many years people have moved away from a church funeral, but please do consider how welcome you are and how good it is to gather in the village where people can easily come and support you and be there with you in your time of need. Your beliefs will at all times be respected and even as some of the words of the service hold a historic Christian faith we recognise that our ideas of heaven, the afterlife and the meaning of life itself has changed and we are deeply interested and respectful of your wishes. Please do look at the attached list of current fees, guidance for families leaflet and some sample prayers that are at the links below. We are here for you and if you would like to discuss things at any time do call us.